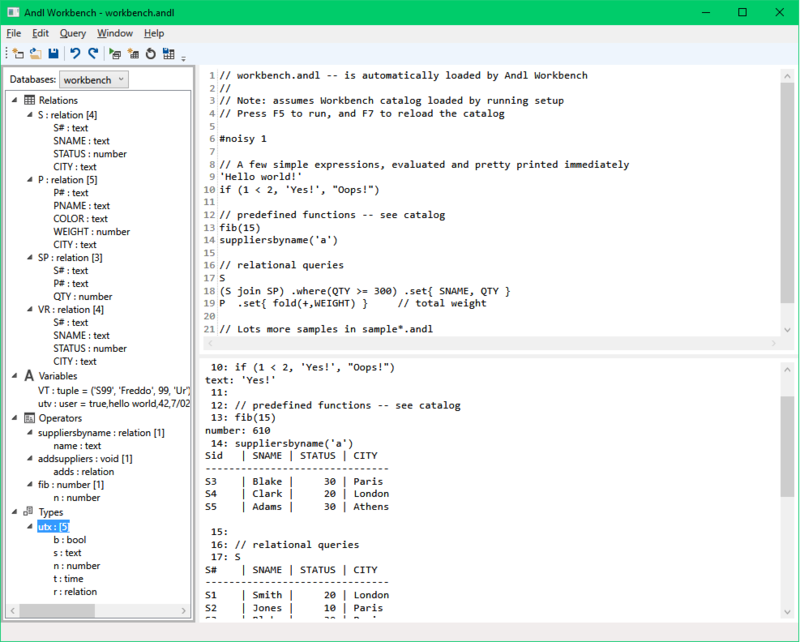 Andl now has an interactive program for writing and experimenting with queries, called Andl Workbench. Andl Workbench should be familiar to anyone who has used MySql Workbench or Microsoft SQL Server Management Studio. It shows the current contents of a database catalog, and allows queries to be written and tested. Here is what it looks like. Get the latest release form the Downloads page.